Places to see in Dhauli: You will truly admire the Japanese Peace Pagoda, set amidst a number of ancient monasteries and stupas. This marvelous structure is truly worth visiting. It is a notable Buddhist structure built jointly by the Japan Buddha Sangh and the Kalinga Nippon Buddha Sangh in the year 1972. Beyond the Stupa, there is an ancient Hindu temple devoted to Lord Dhavaleshwar. For more photos of Dhauli click here. You can savor a magnificent view of the surroundings from the top of the Dhaulagiri Hill. The green stretch of paddy fields along with cashew eyes trees offer visual splendor. You will also admire the beauty of the winding and sparkling Daya River. You can also see inscriptions and engravings in Dhauli, which can be traced back to the Ashokan era. The place is a popular pilgrimage site for both Hindus and Buddhists. Dhauli is admired with many stupas, which were once built by Emperor Ashoka himself. Nearby attractions of Dhauli: You can also visit Bhubaneswar, the capital city of Orissa and the temple town of Puri from Dhaulagiri. 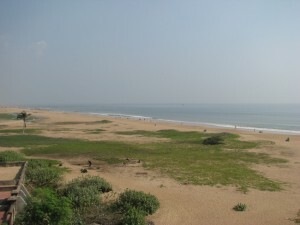 The handicraft town of Pipli (famous for its appliqué work) and the temple of Konark are also located nearby. 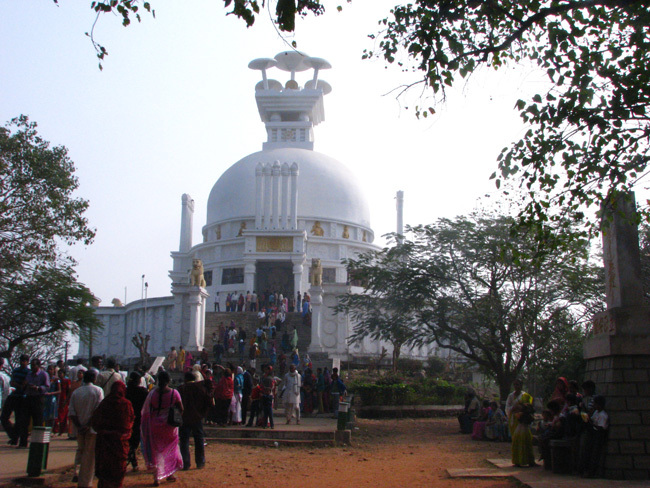 Things to do in Dhauli: Apart from visiting the Dhavaleshwar Temple and Stupa, you can hike along the Daya River and take long walks around the ruins of various structures of Dhauli Hills. Also, take a stroll along the forest track of Dhauli hills, which is truly an exciting outdoor activity. 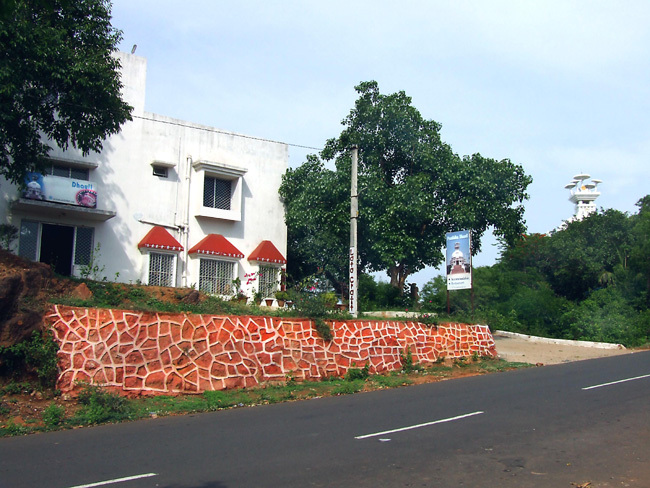 How to reach Dhauli: The town of Dhauli is easily accessible by buses from the neighboring regions of Cuttack and Bhubaneswar. The nearest airport of Dhaulagiri is in Bhubaneswar, which is well connected from Kolkata. There are no direct trains to Dhauli, so you need to drop down at Bhubaneswar railway station. 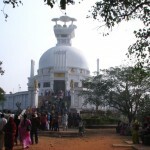 Best time to visit Dhauli: You can experience the true essence of Dhauli, if you are visiting the destination during the winter months, starting from October and extending up to March. Summer is extremely hot in Dhauli, hence, it is better to avoid the summer season. Lodging and dining facilities in Dhauli: The Govt. Tourist Lodge at Dhauli is the only well-equipped accommodation here. The lodge is located very near to the famous stupa and overlooks the Daya River and miles of paddy fields. This tourist lodge has a dining hall and nice well-equipped double bedrooms with attached bathrooms. We arrange booking for Tourist Lodge at Dhauli directly from Kolkata. Dining facilities are excellent here, which mainly comprises ethnic Indian cuisine. However, Western styled food is also offered here. While visiting Dhauli, do not miss the chance of savoring the Oriya cuisines, which are delicately spiced. Relish seafood like shrimp or crab and other fish preparations, which are quite popular in the region.